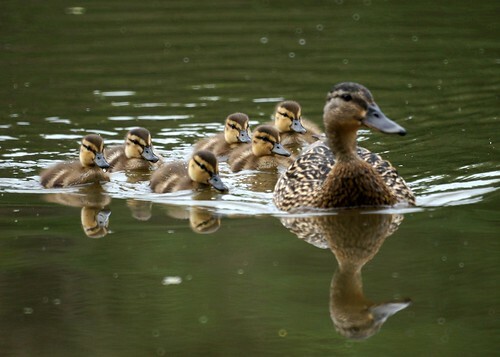 The mother duck brings her six ducklings by often. They are growing very fast and have already learned how to jump back in the lake from our dock. They are now old enough so that some are developing an independent streak and no longer follow mom in a straight line.